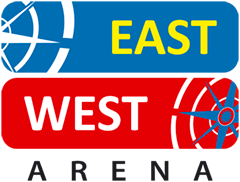 New business opportunities from east to west! 20th and 21st of November 2018! East West Arena is a boundless meeting place and knowledge arena for the entire business community. The companies Expandum in Gällivare, Progressum in Kiruna and Futurum in Narvik arrange the conference East West Arena, where the opportunities to make new business across the border are great. The large region; Finland, Luleå, Kiruna, Gällivare, Narvik, Harstad and Lofoten / Vesterålen are included offers great possibilities! You can attend seminars, book your own meetings, have stands and exhibition, mingle and meet other participants. This is where you will find your next customer or partner! During the conference, it will be possible to connect, make business and build networks. Hope to see you!